Once the summer rolls around and it's time to catch some rays, it's inevitable that many of us will suffer from sunburn of some degree. For the vast majority of us, it's usually relatively minor - nothing too uncomfortable to the touch - but for others, there's the tendency for things to be a little more extreme. Obviously, none of us set out to get sunburn, and given all the warnings about skin cancer these days, it's definitely something that most of us will take steps to prevent, but unfortunately things don't always work out as you had planned, so these tips on how to soothe sunburn might just come in handy for you one day! When it comes to sunburn, it seems that everyone you ask will give you a "surefire" way to soothe the burning pain, but we've decided to pick some of our favourite "tried and tested methods" to kick start your search for the ideal solution. By soaking a towel in milk and placing it on the affected area or areas, or pouring approximately a 5 litres of milk into a cold bath, dairy can help you to relieve the burning and itching sensations caused by sunburn. It may not sound like the most palatable sounding approach, but applying vinegar to the affected area and covering it overnight is also said to be a huge help in dealing with sunburn. If you're not feeling quite so adventurous though, we recommend lathering yourself up with Aloe Vera lotion (without alcohol) and allowing its natural cooling properties to melt away your discomfort. 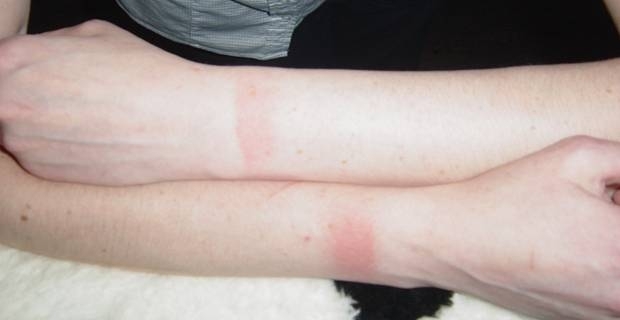 If you do find yourself suffering with sunburn and suspect that it may be a little more serious than a light burn, we recommend you seek medical advice from a trained professional. Although many people swear by these tips, they certainly aren't adequate replacement for real medical advice.